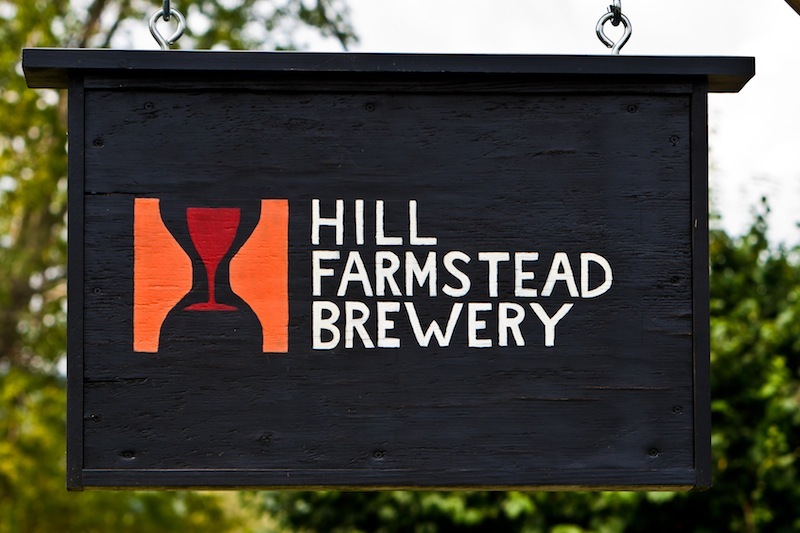 About a week ago Shaun Hill of Hill Farmstead Brewery shocked many beer lovers by announcing an upcoming membership sale. The owner of the recently awarded RateBeer #1 Brewery In The World gave Embrace The Funk a few details about the program and how you can get access to some of the great sour/wild beers in his line-up. ETF- What is the official name of the membership club? ETF- If you’ve come up with a “Trustee” pick up policy, can you give some info on it? Shaun- Of course. Given our location – we absolutely must allow for ‘trustees’ to assist in beer retrieval. Members can name their trustee, with proper communication, until a few days before the beer needs to be retrieved. We will hold onto the beer, in a refrigerated storage space, until July 6th and 7th. After those days… the beer will go up for sale. Folks shouldn’t sign up if they don’t have a means of on site retrieval. ETF-Will all the memberships be sold online or will there be some sold locally? Shaun- At the moment, it looks like 25% on site, 75% online. 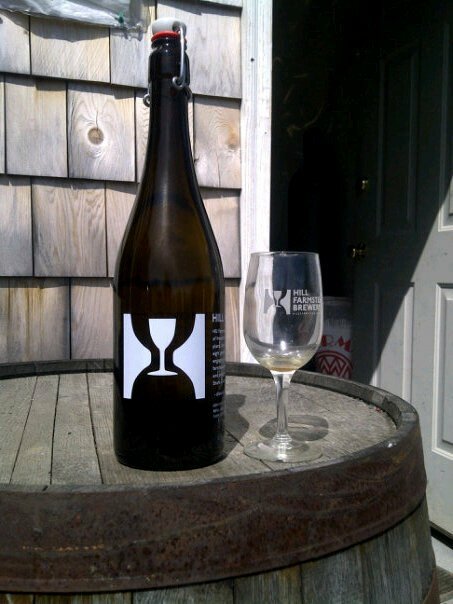 ETF- Will the membership include any special glassware for members only? Shaun- Yes. Members will receive 4 new branded tasting glasses… Spiegelau 13oz wine glasses. ETF- Your beers seem to have no problems selling, so how did you come to decide to create a membership? Shaun- Our location. Customers are driving many, many hours in order to retrieve bottles of our limited releases. We figured we would do our best to “reserve” some of these bottles for these loyal customers – and save them 20+ hours worth of round trip driving and expenses. ETF- Your beers are in high demand and have a limited distribution. Thoughts on the hope the memberships will spread the beers around? ETF- This is probably like asking who a person’s favorite child or pet is…but which one of the member releases are you most excited about? ETF- So just to clarify and me not mislead anyone, membership will include a certain amount of some of the bottles you listed on the “Bottle Release” page and no “Members Only” beers? Shaun- There are no “Members ONLY” releases. With only 150 members – those would be very small releases and would require a significant amount of work for such a small group of folks. Maybe someday. This is a “reservation” group in the most inherent sense of the word. We are holding back bottles for people…to guarantee that they have an opportunity to try them. Members receive 12 bottles total, 1 from each of 12 different releases. I think cost will be $400. ETF- Are the membership sales going to any particular project you have in mind? Shaun- A new keg washer/filler that we just purchased from Lambrechts in Belgium. This will allow us to grow from 1,800 barrels of production to 3,000 barrels of production in a healthy, happy, and time efficient manner. ETF- If all goes well the first year, is it likely the second year see an increase in available memberships? Shaun- If we are able to construct our new barrel cellar/storage facility as part of our upcoming expansion, yes. We will be able to increase the barrel aging project – and hopefully increase Collected Works memberships by 100% (from 150 to 300 members). We hope that we will be able to push through legislation (here in Vermont) that would allow us to ship our beers to consumers in certain States – thus opening the possibility for a slightly expanded reach of memberships. Shaun will be releasing the full details and membership sales soon. So stay tuned to their page for the complete details on exactly what all is included in the membership we didn’t cover here. There is more he will reveal soon…. I’ll never understand why these breweries don’t ship. The whole trustee thing is ridiculous. Offering the ability to ship after all 12 bottles have been released would be much better. Once again another brewery that won’t receive any of my money because of a poor business decision. It is currently illegal for a brewery to ship beer directly to consumers in Vermont. Oddly enough wine is allowed. I would rather pay $300-$400 for the privilege to buy full allotments of each beer, such that people who show up in person are granted than pay $400 for 12 bottles. You’re actually paying more per bottle than those that show up, just so they’ll hang onto the bottle for you. Unfortunately, this also will not make bottles more available. The odds are people that pick these up in person will trade/sell these bottles at the price the reserve members are paying. But, whatever…just an observation. Shaun makes great beer and I appreciate what he represents as far as quality beer production. I respect what avenue he pursues, even if I don’t necessarily agree with it. Good idea…but not the best execution of the membership idea. This is much more akin to buying wine futures. Other breweries that are doing this type of deal, are actually making it worth the money. Shaun is just over charging for his shelf beer, and I just can’t get on board with that. Guys like Patrick and Chad are doing VERY well with their memberships, because you can NOT just go buy Persica, you cannot just go buy Chocolate Rain or Grey Monday. Glass can’t really be that expensive, even at 4 glasses, without figuring that in Shaun is asking you to pay 33$ per bottle for his beer. He isn’t Jean Van Roy, and we aren’t talking about Cantillon, so why are we talking about their prices and even above that? Maybe next year, if there looks to be some solid member only releases, it’ll be tempting. So, am I reading this correctly, the membership beers are double the price of the non-membership price? You should really think about starting an ETF podcast. These interviews are great in print format, but would be gold in a live skype style interview format. You could do a BN style live broadcast or just get a bunch of them in the can and release them every 2 weeks or whatever…just a thought! You sure about that JVR comment? Everything that I’ve tried from HF has been truly world class. He’s trying to make some money, just like the rest of the world. Cut the guy some slack. The memberships will help get the word out about the good things going on at HF. Cheers to Sean. This is a good thing.